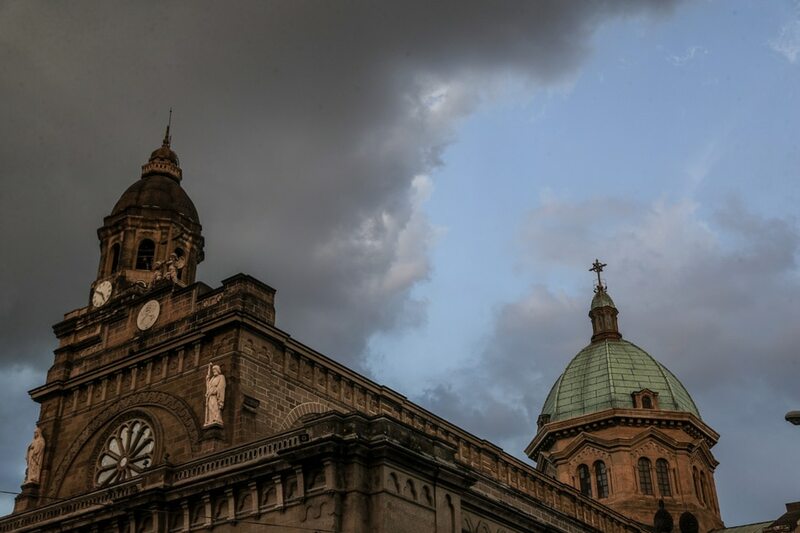 MANILA -- It's blasphemy to call God "stupid," a theologian said Monday, after President Rodrigo Duterte's recent comments on the Roman Catholic faith's creation story. The President, in a June 22 speech, asked how God could allow Adam and Eve to ruin his "perfect" creation by eating the forbidden fruit. In the book of Genesis, the first humans, Adam and Eve, committed the "original sin" of eating the forbidden fruit in the Garden of Eden after they were tempted by Satan, who took the form of a serpent. "We have to correct him. I'm sorry but it's blasphemy to call God stupid," Pro-life Philippines chairman Raul Nidoy told ANC's Early Edition. "Politically, it's a problem for him. Theologically and morally, I fear for his soul because he is our leader. But I also fear for the souls of the people he is leading," Nidoy said. In the June 23 speech in Davao City, the President said: "Who is this stupid God? Estupido talaga itong p***** i** kung ganun. You created some -- something perfect and then you think of an event that would tempt and destroy the quality of your work," he said. Duterte has long criticized the Roman Catholic Church leadership in the Philippines over alleged hypocrisy. He cited allegations some bishops were on the take from politicians.